"Then I borrowed an E-mu SP-1200 from System D-128, [an avant-garde multi-media artist] from Florida who helped me learn about producing." 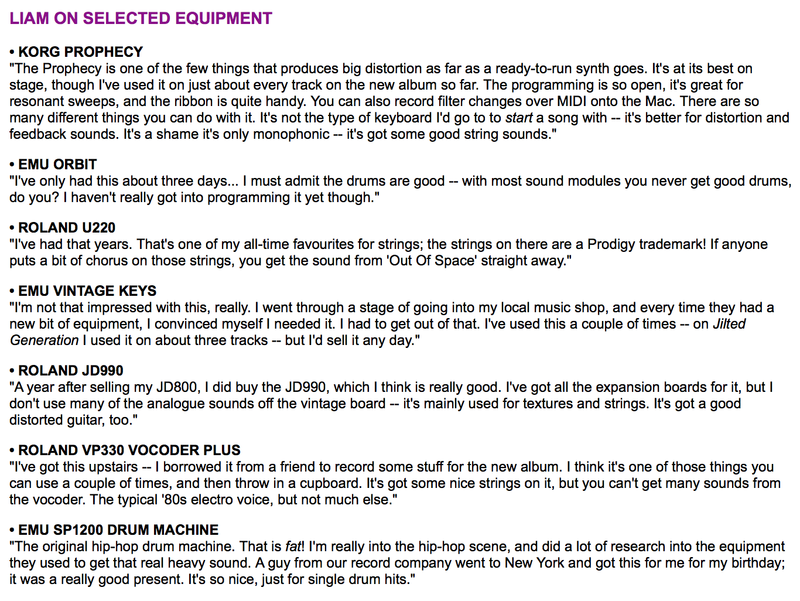 In this 2001 interview with Daft Punk about Discovery, they list some of their preferred samplers; the 1200 is listed. In this old video, we see Pete Rock playing on the signature drum pads and sliders of an SP-1200. Spotted on stage at 8:45 in this video of a live set. The SP1200 itself is clearly visible at the :55 mark of the same video. It was used extensively on the collaboration with MF DOOM "Madvillainy". Madlib can be seen holding one on the back cover of that album. 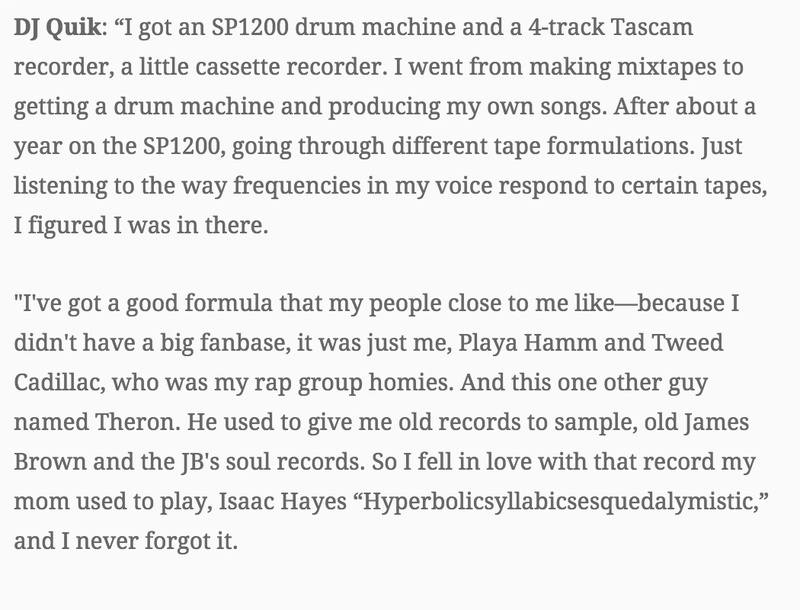 Grap Luva uses SP-1200 like his big brother (Pete Rock) used to. In this Instagram photo, captioned, "Whatchall know bout this? #sp1200", DJ QBert's SP-1200 is visible. At 0:28 in this video Alan Braxe introduces the SP 1200. He says, "I think it's a fantastic machine. Really easy to use." At 0:26 in this video DJ Muggs is seen using a SP-1200. Dj Lethal can be seen talking about this sampler in an interview with The Archivist. Loefah shows his E-mu SP-1200 in this Instagram photo. In this video at 2:08, Para One of [L'Atelier](http://equipboard.com/band/l-atelier) and [TTC](http://equipboard.com/band/ttc) shows his studio, including a E-mu SP-1200, for the process of making his second album 'Passion'. 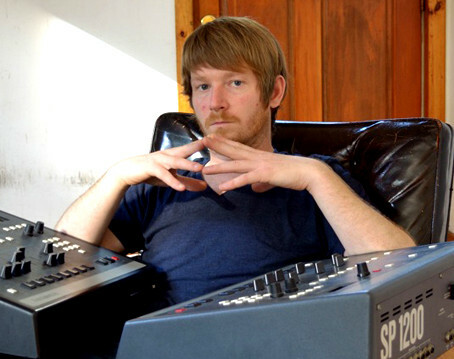 in this photo we can see his sp-1200..
"Danger Mouse also loves his vintage E-mu SP-1200 Sampler/ Drum-Machine. 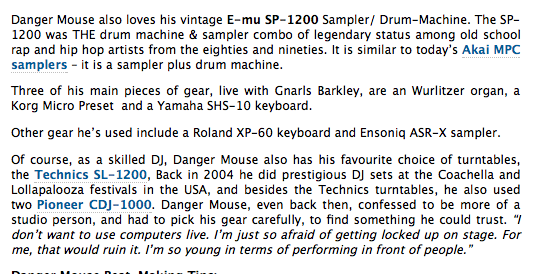 The SP-1200 was THE drum machine & sampler combo of legendary status among old school rap and hip hop artists from the eighties and nineties," states [this article](https://digitaldj.wordpress.com/2008/07/08/the-sound-of-danger-mouse/). At 01:01 in this video Del shows points at the corner of his studio: "I've got SP 1200 right here, sittin up here you know"
You can see Route 94 just opening it from his mail. At 4:12 in this video we see a SP-12 in Dj Babu's spot. No matter what companies make this is still KING !!! It is used by Roni Size, Todd Terry, Freddy Fresh, Daft Punk, Phil Collins, and The Prodigy . At 3:29 in this video, RZA says, "...I was at Easy Mo Bee's house, we were on Gza's first album and he had a SP-1200, and I'd never seen that in my life never knew what it was. It was 1987 probably." "Took about a year and a half before i finally got ahold of one....so i was about 19 when i got my first SP-1200..."
Marley marl uses the E-mu SP-1200 in songs such as LL cool J's Mama said knock you out and many more! The description of this video of Bibio says, "Capturing sounds with a vintage Sennheiser MD-21 microphone, then using the EMU SP1200 for its inimitable fidelity, then resampled and sequenced on an Akai MPC 5000." In [this Dj Quik interview](http://www.complex.com/music/2012/04/dj-quik-tells-all-the-stories-behind-his-classic-records/born-and-raised-in-compton) with Complex he tells his rise to modern day legend from his humble beginning on the SP and cassette “I got an SP1200 drum machine and a 4-track Tascam recorder, a little cassette recorder. I went from making mixtapes to getting a drum machine and producing my own songs. After about a year on the SP1200, going through different tape formulations. Just listening to the way frequencies in my voice respond to certain tapes, I figured I was in there." According to a list of equipment which is used in his studio, Crowdspacer, Joakim is also a user of E-Mu SP1200 drum machine. 1st paragraph and 24th line down this sampler is listed by robin. In this picture that Dj Evil Dee posted to his Instagram, he shows off some off his classic gear (including the SP-1200) and writes this, "#tbt #throwbackthursday WHAT YOU KNOW ABOUT THE SP1200, SP12 TURBO & THE AKAI 950 ???" At 1:30 in this beat-making rhythm roulette video of 9th wonder, you can see the sp-1200 with a record laying on top of it. Jel is seen with two SP1200's here. "The original hip-hop drum machine. That is fat! I'm really into the hip-hop scene, and did a lot of research into the equipment they used to get that real heavy sound. A guy from our record company went to New York and got this for me for my birthday; it was a really good present. It's so nice, just for single drum hits." – Liam Howlett, from a [1996 interview](http://www.soundonsound.com/sos/1996_articles/sep96/prodigy.html) with Sound On Sound. "I've done so many tracks with this...back in the early 90s this is the box I did everything on," Brown says, at 4:36 in this video.
" I got the E-mu SP-1200 and the MPC3000, so yeah, now I'm sampling again. " Has 8 filtered outputs that you bypass. This picture shows Lord Finesse and his SP-1200. He also released an instrumental album named The SP1200 Project: A Re-Awakening. Todd Terry from Masters At Work gave this to him. "It's the most recent addition to my studio, but its immediately become my favourite." What about drum machines? You have a handful… "The EXS24 is my go to for drums but from time to time I'll bring out the EMU SP1200 to sample bass notes. I did actually use my Korg Minipops 7 on the breakdown of one of my tracks because it has pre-programmed patterns. I also love my Akai MPC3000, because it was my first ever drum machine." Seen in the video at 3:03. Pictured here, decked out in winter gear because of his icy beats. In this photo posted by Epworth on his Instagram profile, the E-mu SP1200 can be seen. In this interview with Rap Pages from November 1995, DJ Screw mentions that for his (very few) original productions, he uses the classic E-Mu SP 1200. The SP-1200 was THE drum machine & sampler combo of legendary status among old school rap and hip hop artists from the eighties and nineties. It is similar to today's Akai MPC samplers - it is a sampler plus drum machine. It has limited sampling specs: 26.040 kHz and 12-bit resolution. However the dirtiness of that sound is great for hip hop and house music. They say it sounds like "old vinyl"... It features groove quantizing and a disk drive for sample storage. As an upgraded version of the 1985 SP-12, the SP-1200 focused on its coolest feature - sampling. The preset drum sounds of the SP-12 were omitted, leaving room for up to 32 user samples of your own custom sampled and edited drum sounds. Although this machine was originally released in 1987, E-mu has reissued them again and again due to popular demand. They continued producing them until they ran out of the SSM filter chips they used, around 1998. It was just too legendary to give up as it was THE beat machine for old-school rap and hip hop! In 1997 a final reissued model was released with a cooler looking all-black case. With the SP-1200 it's easy and fun to grab those sliders and tune or tweak your sampled drum sounds all around! It is used by Roni Size, Todd Terry, Freddy Fresh, Daft Punk, Phil Collins, and The Prodigy. The First Ever Sampler I've Used! My pops had this sampler back in the days and he taught me how to use this, I've have so many beats created on this legendary machine! I grew up with my dad/uncle's drumulator (still have it)... I am envious of your SP-1200, its a drumulator ons teroids! The old E-MU stuff is so underrated these days, I don't know why, it sounds so great. The legendary SP1200, this is a very big piece of Hip Hop's golden era history.